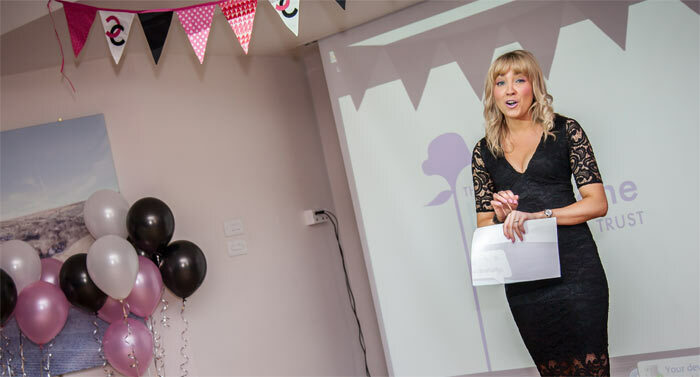 MacComms was founded in 2015; we’re a a PR agency, keen to support local businesses on their scale-up journey by raising their profile, credibility and generating positive publicity. The freedom and flexibility to carve my own future was the drive behind setting up MacComms. I’m also passionate about providing a supportive working environment for others; MacComms is built on the values of positivity, collaboration and treating people right. Shortly after forming MacComms I joined the world’s largest growth accelerator programme, Entrepreneurial Spark in Leeds. Here, I have access to hundreds of other entrepreneurs and mentors who share the same growth mindset as me and inspire me daily. One bit of advice you wish you’d been given before you started? With hard-work, drive and determination, anything is possible. This is also one of the most powerful selling tools; people buy people with enthusiasm and a passion for what they do and I’m proud to use this approach rather than a hard-sell to acquire new business. To never doubt myself or my gut instincts. The biggest challenge will be recruiting the right people and attracting talent to drive business growth and development. It is important to find the right people who share and fit our brand values. I am determined to build a successful business that genuinely cares about its employees and their futures, whilst providing clients with an outstanding level of PR support to see their businesses continually thrive. I won the ‘Chiclet’s Choice’ award twice in succession, which was voted for by my peers at Entrepreneurial Spark, a first for the programme! The award seeks to recognise entrepreneurs that go the extra mile to support others and share knowledge, something I love to do. I like to unwind with friends and family; I enjoy good food, wine, conversation, and laughter with great company. I also like to travel and see as much of the world as I can. I have grown enormously in confidence inside and outside of work. This is evident in my public speaking skills; something that I used to detest, I now actually enjoy! This boost in confidence even saw me take my first holiday alone earlier this year which was an amazing experience and I met so many more people than I would have had I travelled with someone. I think this is something everyone should do at least once in their lives. When I was a child I used to dream of either being a popstar, an ice cream lady, or a window cleaner! With a passion for promoting businesses, I have found my calling in PR and marketing and now I’ve experienced being my own boss I can’t imagine not running my own business. For more information about MacComms visit www.maccomms.net.